Hi Joe -- as a follow-up to our phone conversation from a while back, I want to share with you how much my education at the Joe Kubert School has meant to my life and career. 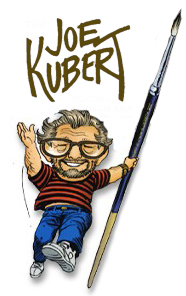 I attended the Joe Kubert School from 1983 to 1985. I got an amazing foundation of all the most important drawing and storytelling skills during those years. Up until I went to your school, my artwork had developed in fits and starts…but once I came under the full-time guidance of all the experienced teachers I learned more than I ever thought possible. In your Narrative Art class, I learned about telling a story visually. One of the core ideas that has never left me is that the reader is always right. If they get confused it's my fault. The artist has to make the storytelling clear and compelling. I learned solid basic drawing techniques from Jose Delbo -- his class taught me how to draw the real basics that are often skipped by young artists. I learned figure drawing, perspective, how to use pens and brushes, lettering, coloring and painting. I have used all those skills throughout my career; not only in animation storyboards (for Nickelodeon, Cartoon Network, Warner Bros and Disney), but as a comic book artist/writer/inker/letterer and full-color cover artist for Nickelodeon Magazine. Best of all, I have been teaching others, continuing the lessons and traditions that I learned from you and your crew of seasoned professional teachers. In my role as Storyboard Supervisor and Director at Disney TV Animation, I help teach other artists the solid basics of visual storytelling. I wrote and illustrated a book called, "Cartooning: Character Design" for Walter Foster Books, and I am currently teaching an online class in storyboarding. By the way, I'll never forget that our first assignment in your class was drawing a comic book story with no words, and only with silhouettes. That assignment broke my brain open to the challenges and opportunities that can be achieved by telling a story with drawings. In my online class, I just taught a lesson on posing, acting and the importance of silhouettes! Basically -- everything I know about drawing and storytelling had its foundation at the Joe Kubert School. I am eternally grateful that you started this wonderful school, and that you have been so generous with your knowledge. 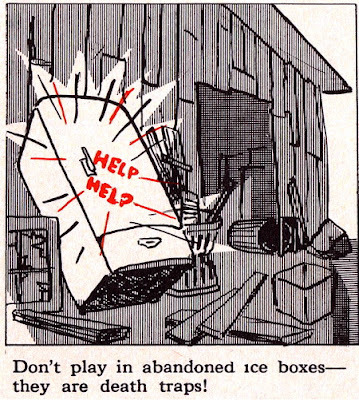 Check out these scans from a safety booklet for kids from the fifties or sixties. These pics are guaranteed to give any kid nightmares, and keep them away from strangers, bikes, leaf piles, refrigerators and kites forever. There's a lot more...you really gotta see 'em! ...especially the one about the leaf pile. 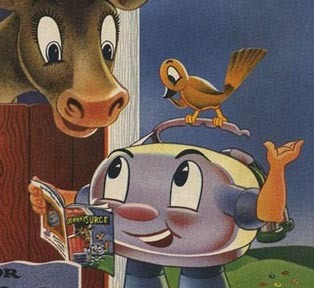 "The Story of Johnny Surge"
or "Why We Don't Push The Sale of Pine-Tree Milkers!" I really love the old silent Disney "Oswald the Lucky Rabbit" cartoons! The story about how Disney lost his first creation is heartbreaking, and the story about how Disney got Oswald back after 80 years is miraculous and hilarious. But this isn't about the Disney Oswalds. 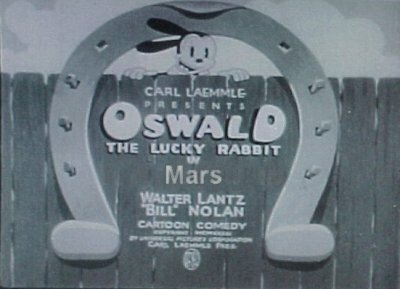 Let's take a look at the Oswald cartoons made by Walter Lantz and Bill Nolan. I had no interest at all in seeing the Walter Lantz Oswalds... until I found out that they featured the amazing work of one of the greatest animation pioneers ever: Bill Nolan. 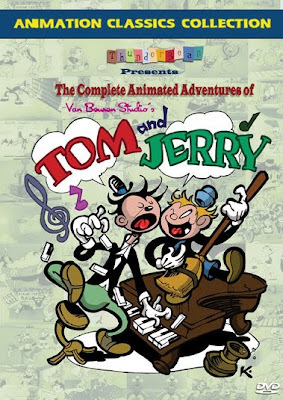 Bill Nolan is one of the hugest unsung heroes and animation -- is often credited with creating the rubber hose style of cartoons. 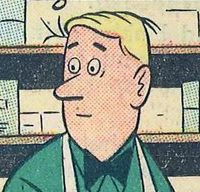 It was Bill Nolan that helped Otto Mesmer refined Felix the Cat into the bouncy, round, cartoony character that he became in the mid-20s. While I was at the Kubert school, I realized that I liked drawing cartoony comics more than a superhero comics that I grew up liking. It sounds kind of strange, but it was a really big surprise to me. Around this time, the comics that really excited me were Love and Rockets, Life in Hell, and the Kitchen Sink Press reprint of Harvey Kurtzman's Jungle Book. Being completely ignorant of the lack of demand for funny comics, I wrote and drew a funny animal comic book story and brought it down to San Diego Comic Con to try to get a job. A lot of people liked my samples, but most of them told me that there's no market for funny comics. I got a couple of bites from some small independent places like Apple Comics, Slave Labor, and Blackthorne Publishing. I also got some very encouraging words from Dave Stevens, Scott Saavedra, and my old hero, Mike Grell. I came back home with a positive attitude because I had gotten a few good leads. I went back to life as usual (working at an ice cream store) until one day a package arrived on my front doorstep. The package was from Blackthorne Publishing, and it contained a script, a contract, and 10 blank comic book pages. 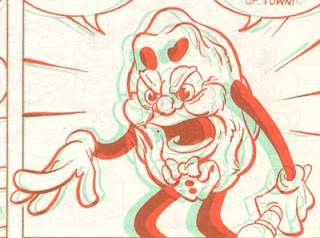 The job was a 10 page story for an upcoming issue of California Raisins in 3-D! It would have been nice if they had told me in advance... the deadline was in two weeks! The first thing I had to do was ask my boss for a week off. Then I spent a couple days making thumbnail sketches and practicing drawing the characters. By the time I was ready to dive in fully, I had 10 days left to pencil and ink a 10 page professional quality story. It was a pretty intense 10 days -- after all, this was my first job and I wanted to make a great impression. This was my way out of the ice cream store! My big break! After I was finished, there was no way I was going to send that precious cargo through the mail. I drove the story down to the Blackthorne offices in El Cajon California. 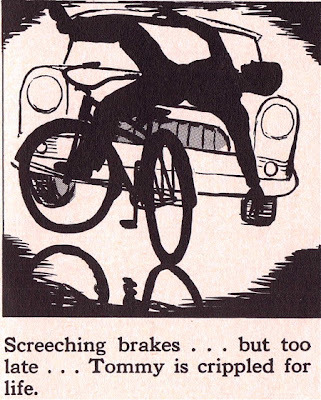 are showing in these pages: on page 3, dig the Robert Crumb-style street scene. And the robot that answers the door on page 4 is an homage to my hero Harvey Kurtzman and his story "Henry and the Goon Child" from his early days at EC comics. The comic was published in 3-D, so I'm just showing the black-and-white pages as I drew them. 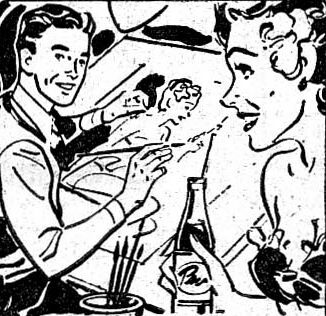 I realize there's no lettering, but trust me -- the story wouldn't make much more sense if it had words. It was a pretty wonky script, but I wasn't about to complain. And here's the hideous cover which I certainly did NOT draw. I'm happy to say that 22 years later (how in the world is THAT possible?) 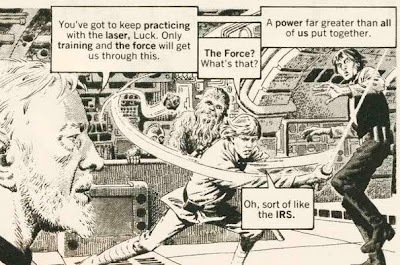 I can still look back at this comic and not wince. 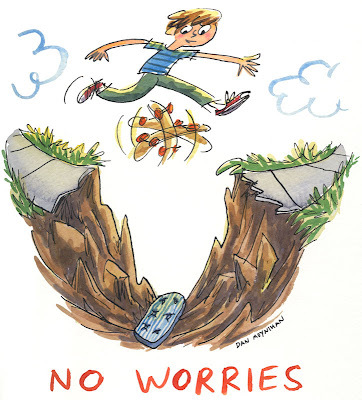 Looking at Dan Moynihan's drawings makes me feel like a little kid again. His playful doodles have a happy childlike quality that reminds me of PD Eastman, Quentin Blake and my ol'pal Craig Bartlett. But of course, he's totally got his own thing goin'! Anyway, I just had to share this with everybody because it's so darn good!